All of us in this industry know how invaluable water is to every aspect of our lives. 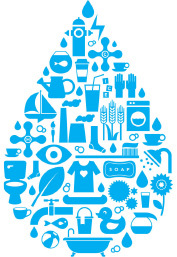 Imagine a Day Without Water, held on October 10, 2018, did a great job of building awareness and educating America about the essential nature of water. Breweries, schools, aquariums, Chambers of Commerce, city councils and more all got involved regarding their local water supply and service. Many events were hosted in local communities. The often invisible challenges plaguing our water infrastructure received a much needed spotlight. Kudos to all the participants!